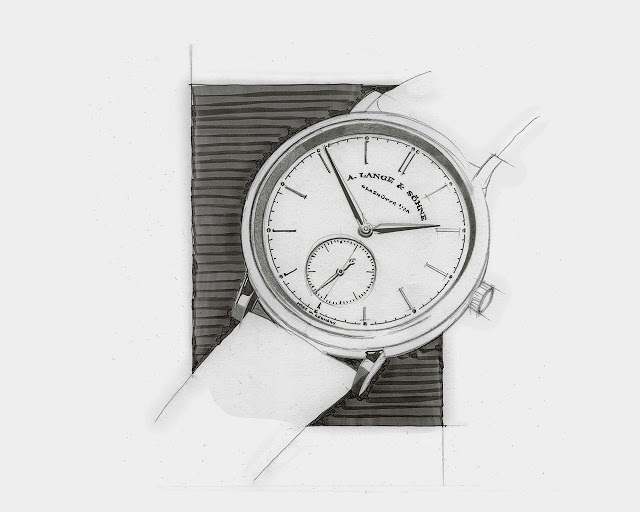 In its modern incarnation Lange is just under 20 years old but it has already established a recognisable aesthetic identity. 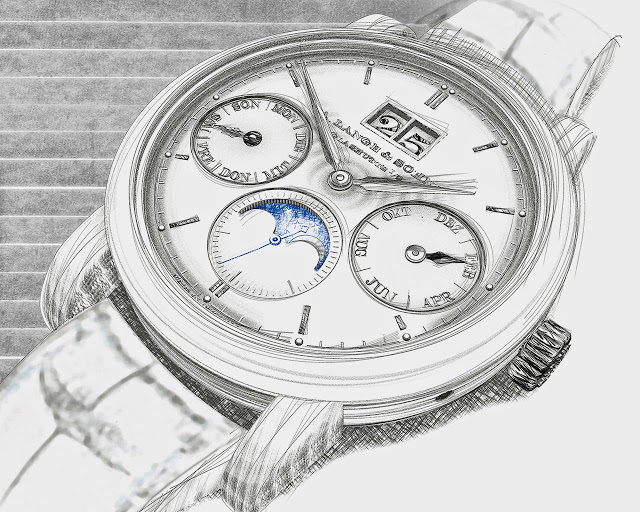 Its most distinctive timepiece still remains the Lange 1, the face which launched the brand. Lange just issued a press release outlining its design principles, including the design sketches you see here. 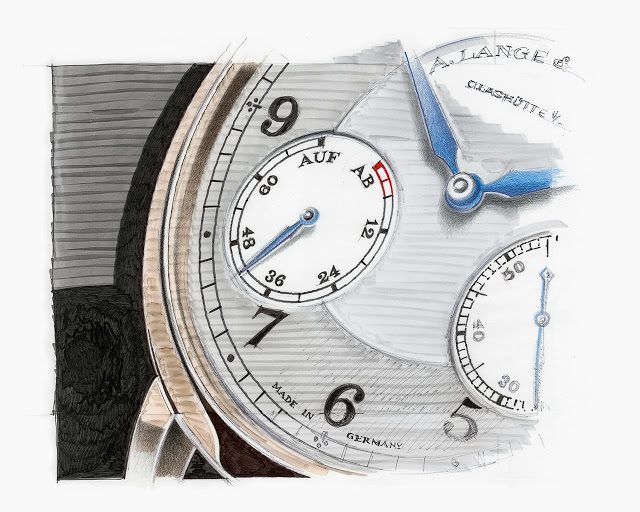 It mentions how the dial design of the Lange 1, with its distinctive off-centre and separate indications, adheres to the proportions of the Golden Ratio (the first time I am hearing of this). 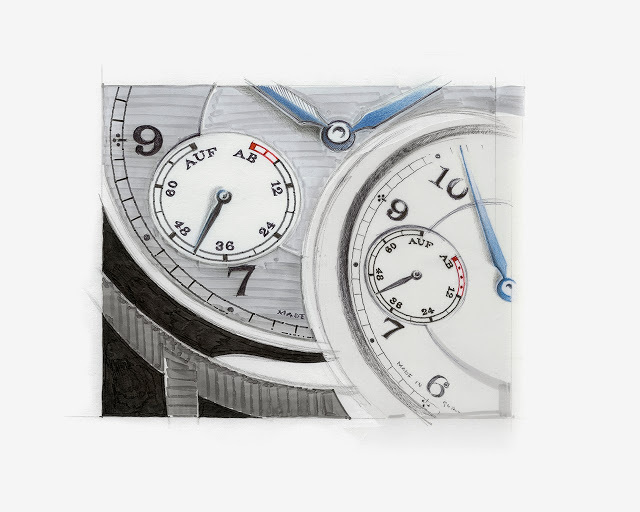 This reminds me of a conversation I once had with none other than Kurt Klaus, IWC’s most famous watchmaker and also its resident conductor, where he discussed the Lange 1. 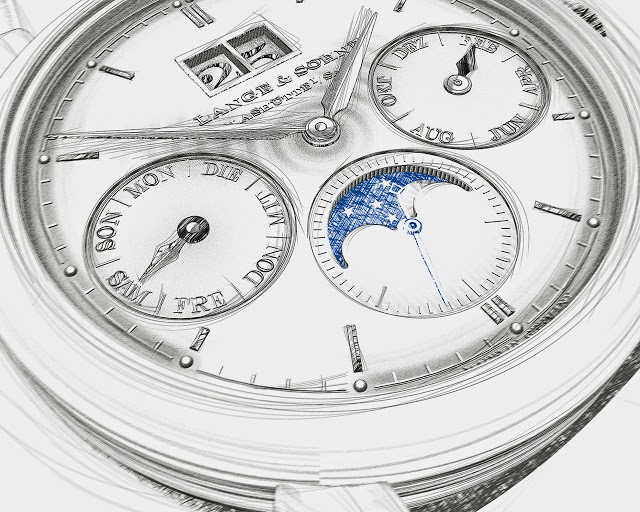 As he explained it, the Lange was conceived as a dial first, and subsequently the movement was constructed around the dial design. 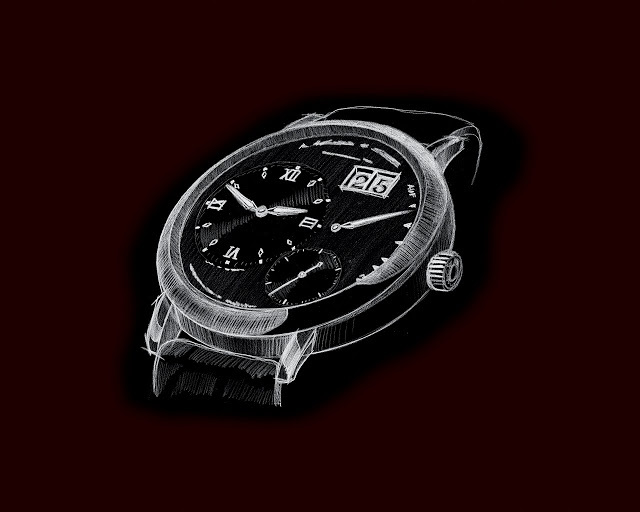 According to Mr Klaus, it was himself, Günter Blümlein and Reinhard Meis who came up with the Lange 1 dial design. 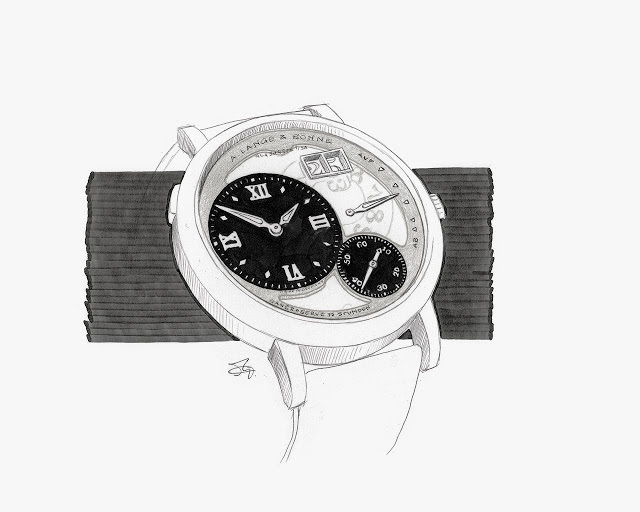 They were in Blümlein’s office at IWC in Schaffhausen (at the time Lange, IWC and Jaeger-LeCoultre were sister companies in LMH), playing with different iterations of the Lange 1, moving each of the sub-dials around on the computer, until they reached the final design. As a result, the Lange 1 has a relatively small functional area of the movement since the calibre was built around the dial. 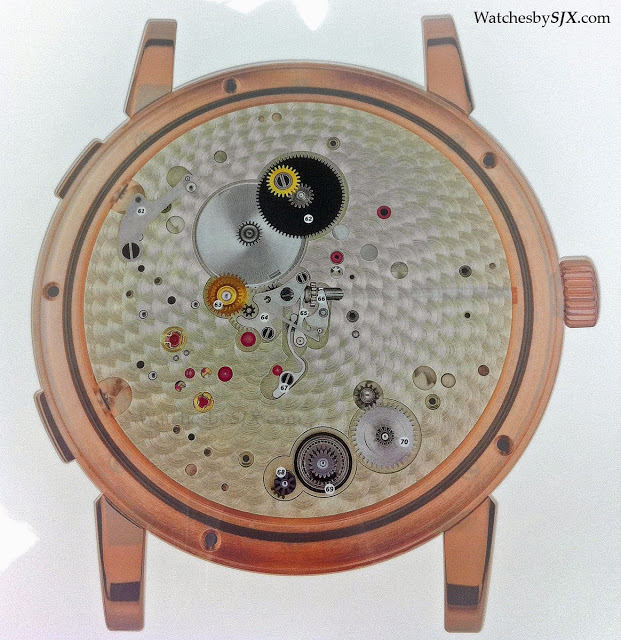 Most of the gearing is concentrated on the left side of the dial, and the keyless works are set almost in the middle of the case (they are usually adjacent to the crown). 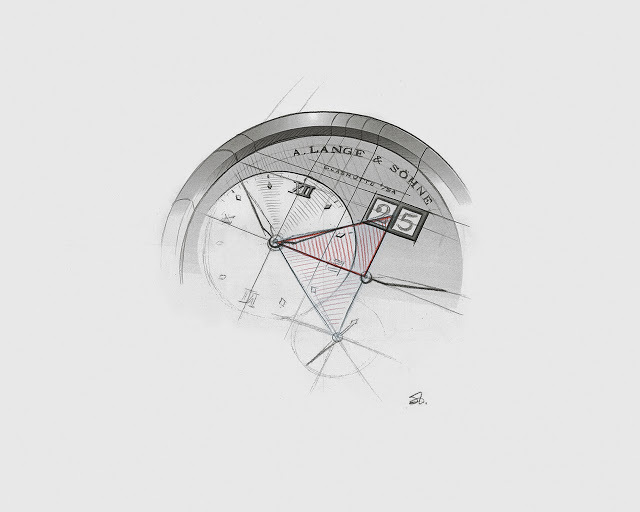 Dial side of the Lange 1 Time Zone which is nearly the same as that of the original Lange 1, notice the keyless works which are practically in the centre of the base plate. 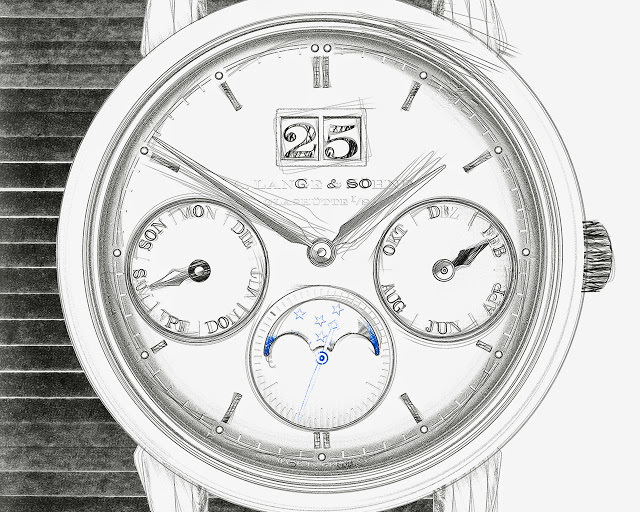 And because Lange in those days was practically a start up, the gear train of the Lange 1, and also the other two debut models 1815 and Saxonia, is actually that of the JLC cal. 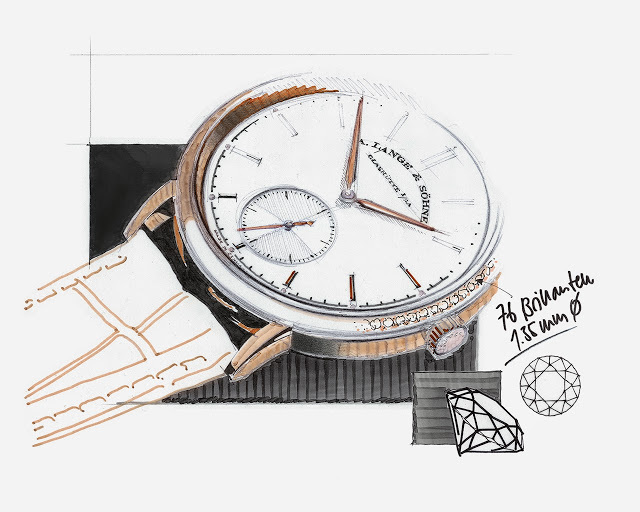 822, the reliable tonneau-shaped movement used in many Reversos.